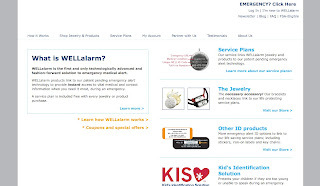 There are several aspects to the needs of the website for WellAlarm, and therefore several goals had to be met in the structure of the navigation. WELLalarm needs to sell their jewelry product, feature service plans, and give clients quick access to log into their accounts. 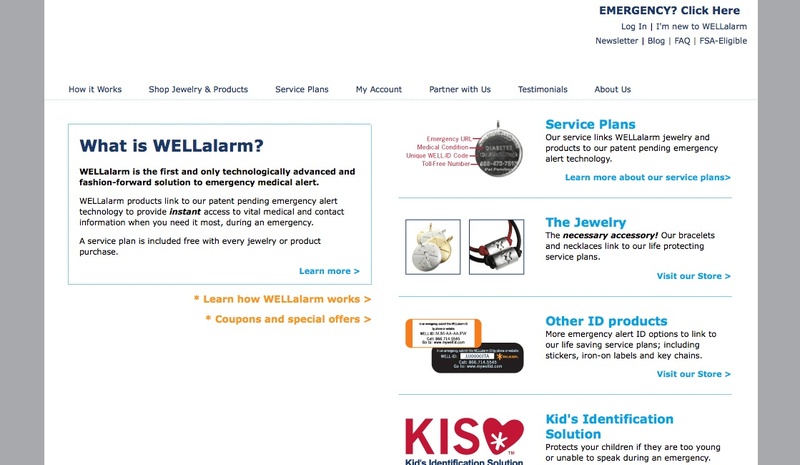 WELLalarm's website was built by their in house team, and we provide designs for different components.